Bullfight Tickets Olivenza 2019. March 7th to 10th. Buy your tickets to Olivenza bullring. 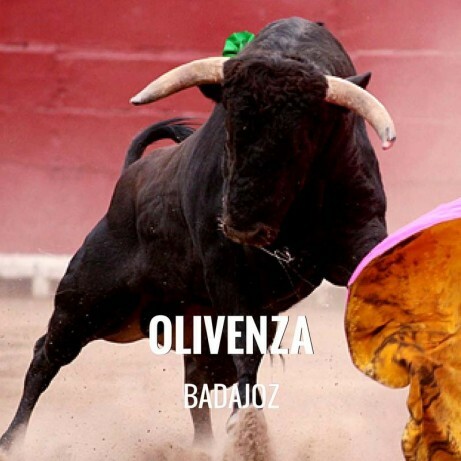 All the information about of Olivenza. Order your advance tickets from Bullring Olivenza, as soon we have posters and official prices Servitoro team will get in touch with you. Servitoro, Official Box office of bullfighting tickets sales at Olivenza bullring. Servitoro delivery service offers the User the opportunity to acquire the tickets in a safe and easy manner from his/her home address, avoiding long queues before ticket offices. Servitoro offers to non-residents the opportunity to deliver the tickets to hotels, hostels and similar (2-4 days before the show) during their stay in Spain and coinciding with the bullfight event (charges a fixed cost of 12€ per ticket VAT included). Inside bullring you can make pics and videos.